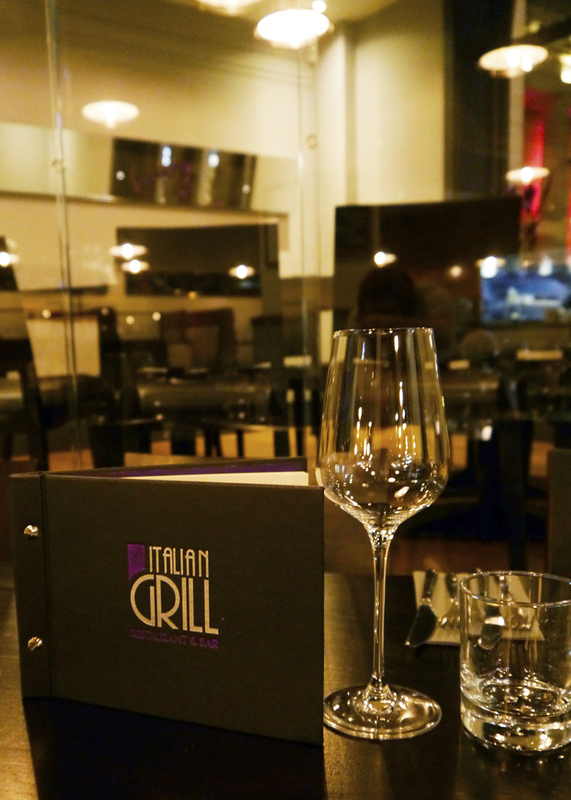 Last week we were invited along to Italian Grill in Dundee to try out their food and it was perfect timing. Last month Helen moved across to my side of the city but we've really struggled to match up our schedules for one-to-one BFF time. Weekends away and Helen's Halloween calendar have taken up all our time so I was really looking forward to good food and gossip. And gossip we did! Before booking we checked that they could accommodate my gluten free dietary requirements and I was pleasantly surprised that they could, for mains at least. There wasn't a separate menu but I was advised on which dishes I could swap out for gluten free versions on the main menu and ordered from that. The only starters I could have was a garden or caprese salad, but I always go with caprese anyway so it suited me. 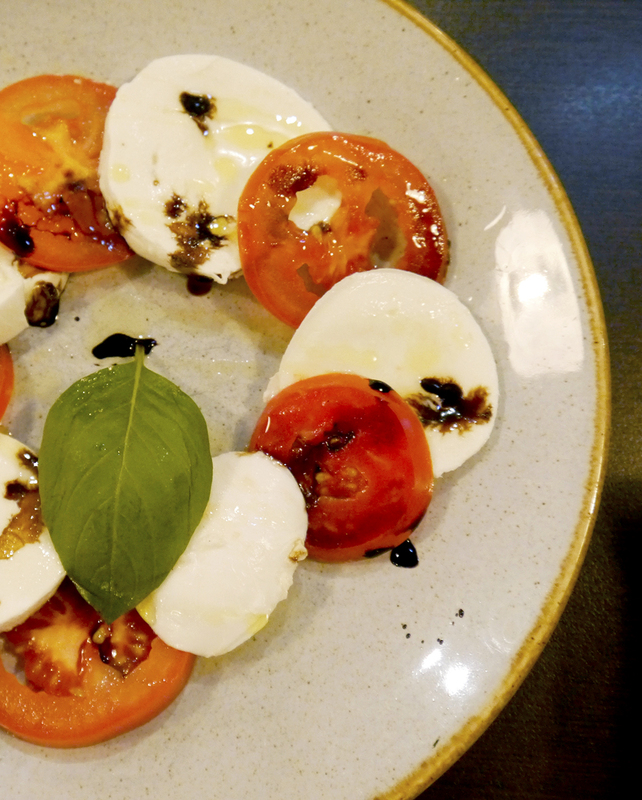 The buffalo mozzarella was tasty but I wanted more basil than the decorative leaf! 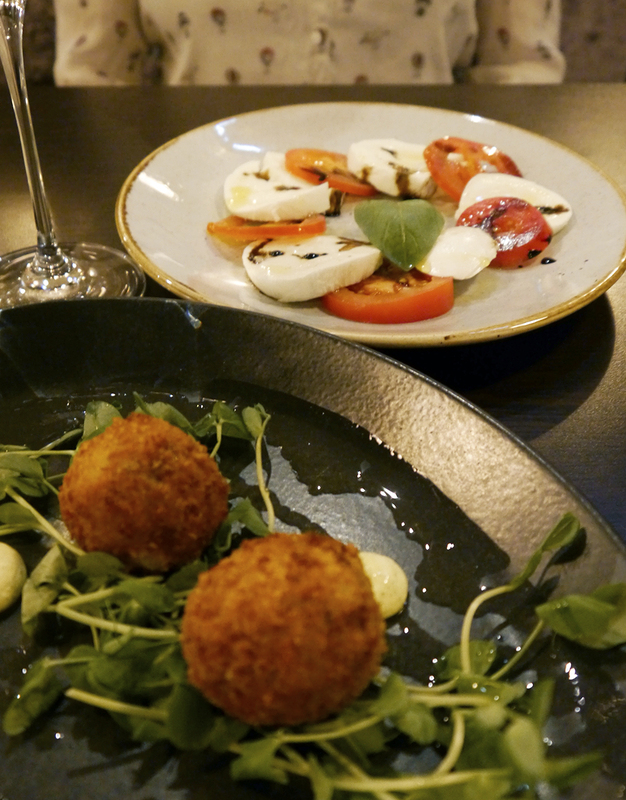 I was envious watching Helen tuck into her porcini mushroom arancini with tarragon butter. It looks so good and she hoovered it up so I guess it was! In between courses, we got to talking about how we never go out for dinner. Together, at least. I often do. I've spent a lot of time around foodies and eating out is one of my favourite things to do, when I'm not cooking at home. Helen prefers to just meet up casually over a coffee or quick bite but I really enjoy a sociable dinner occasion. 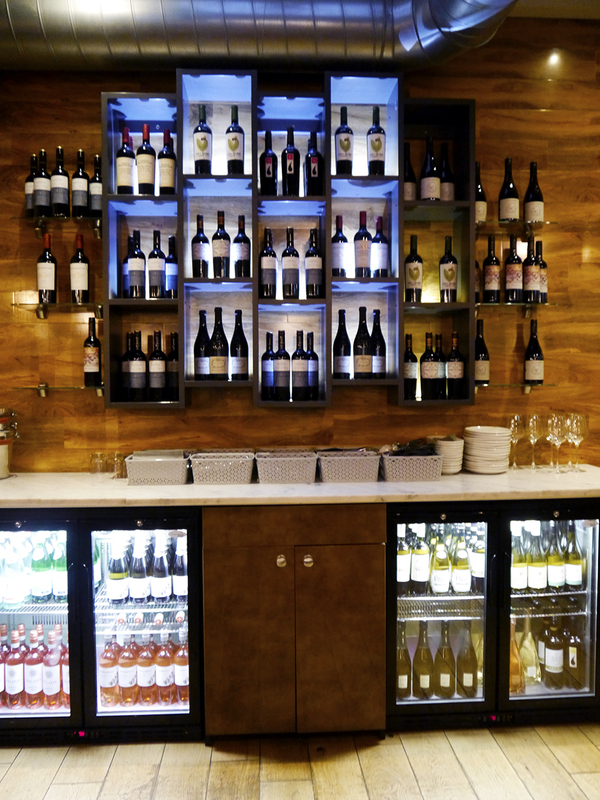 I enjoy a brunch or a lunch or a tapas or street food markets. Anything with good food! 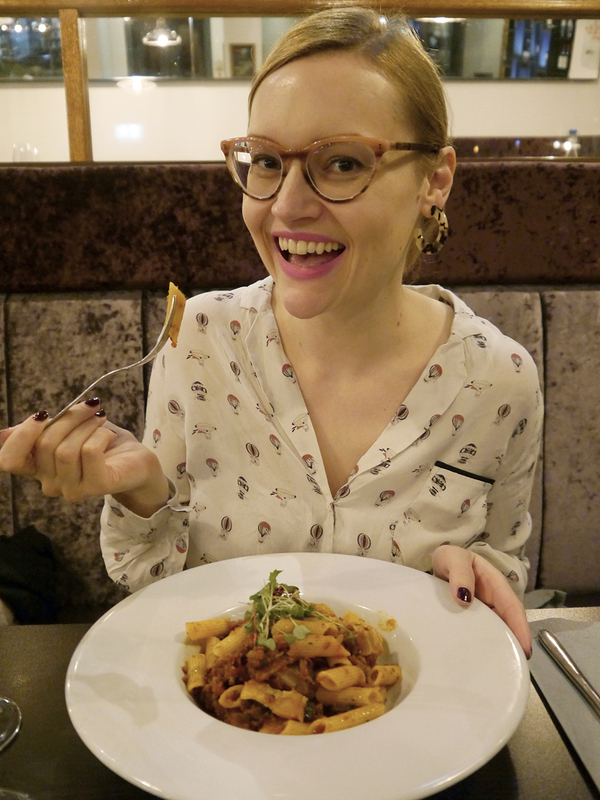 This pastime has become a bit (okay, A LOT) trickier since I was diagnosed as coeliac but I find Italian restaurants are often a safe bet so I'm becoming a bit of a pasta connoisseur. 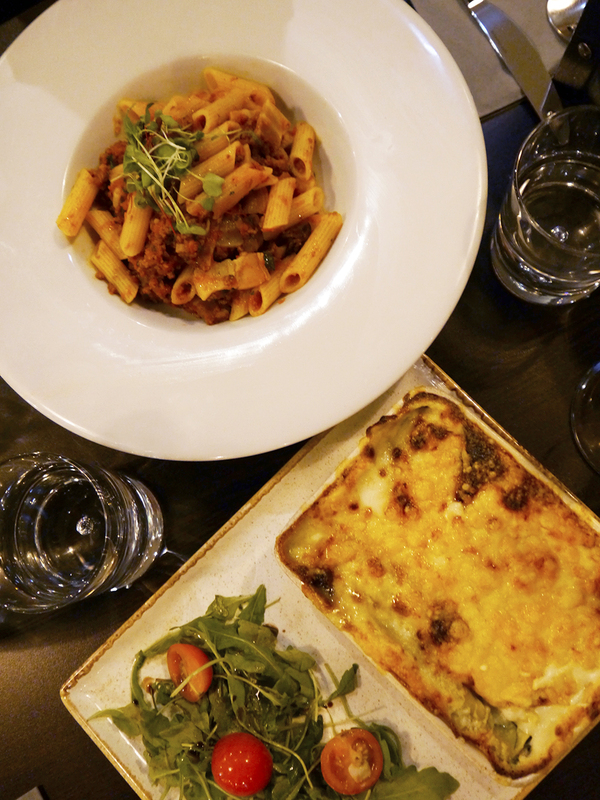 Which brings us on to the mains - both of us are pasta fans so we stuck to those. We had a worrying moment where we mistook Helen's spinach cannelloni for a meaty lasagne but it was actually just a generous portion. The restaurant has a good grill selection too (the clue is in the name) and I was very tempted by the stone bass. My barometer for an Italian restaurant is the spaghetti bolognese though (or a ragu, if they do it) so I opted for that. 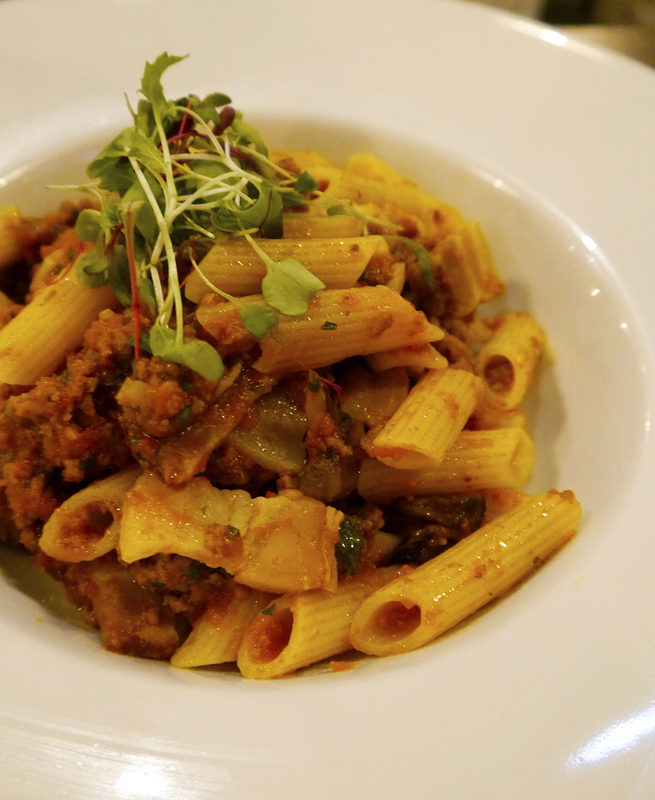 The gluten free pasta option was penne so really I had penne bolognese but the sauce was good and it had pancetta through it for more flavour. The portion was the perfect size without feeling too gluttonous. Gotta save space for dessert, after all. 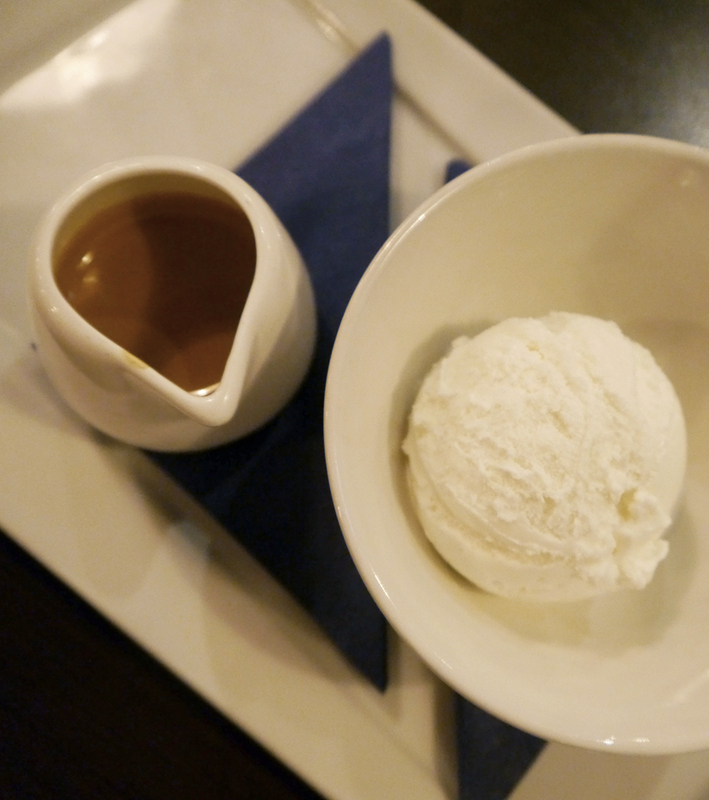 After much deliberation we both got a simple affogato. The coffee was STRONG and I would go on to regret having caffeine after 5pm but at the time it was a good finish to the evening. I was giddy and hyper as we shared some wine and raced through topics of gossip before walking home together. We're neighbours now, after all. Thanks to Italian Grill for having us in. 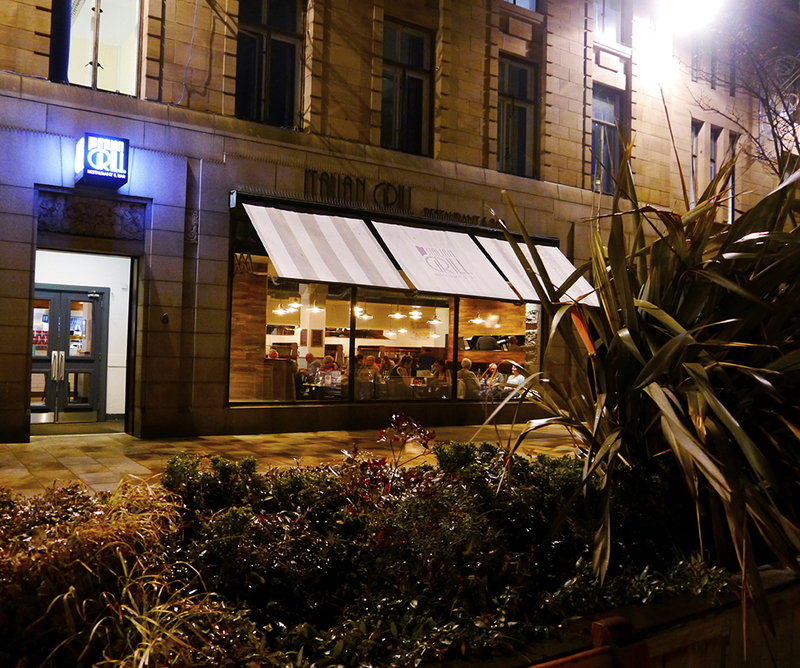 It's a great space to hang out with friends the mains were mostly £8-12 so it's an easy weeknight option. We're also very intrigued by the cocktail masterclasses. Anyone want to join us?